The Houston real estate market remained in positive territory in May with home sales up 1% and both the average and median home prices experiencing new record highs. May 2018 had a total of 8,157 single family home sales vs 8,078 in May 2017, an increase of 1% year over year. This is the greatest one-month sales volume since June 2017 when 8,368 homes were sold. For the fourth straight month, homes sales priced in the $500,000- 749,000 range continued to be the best performing segment, increasing by 10.3% in May, while homes in the luxury market, homes priced from $750,000 and up, was unchanged year over year. Total single-family home inventory for Houston was unchanged year-over-year at 4.0 months’ supply. For perspective, the US housing inventory also stands at 4.0 months’ supply for May. Anything below 6.0 months’ supply is considered a tight market. The median and average home prices reached historic highs in May. The median price increased 3.4% in May 2018 to $243,000 vs $235,000 in May 2017, while the average price increase by 1.3% to $305,511. Leases of single family homes declined by 1.8% year over year. May sales of all property types in Houston totaled 9,721, an increase of 0.6% versus the same month last year. Total dollar volume climbed 2.0% to $2.8 billion. In May 2018, 9,400 new jobs were added. For the trailing 12 months, 79,200 new jobs have been added, a 2.6% annual increase. Houston metro area unemployment decreased in May to 4.2%, down from 4.8% in May 2017. 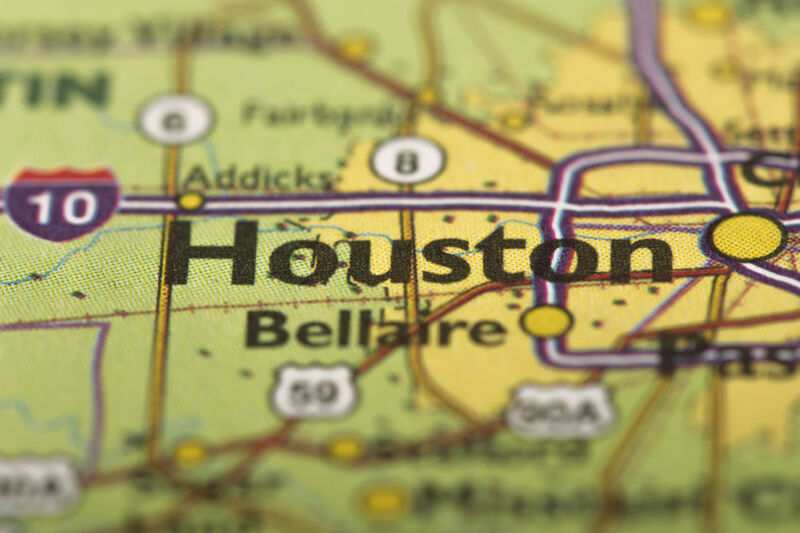 The Houston Purchasing Managers Index (PMI), a short-term leading indicator for regional production, increased to 58.8 in May, up 2.2 points from 56.6 in April, and signaling continued economic growth. Readings above 50 signal economic expansion in Houston over the next 3-4 months. The region’s PMI has been above 50 since November, signaling continued economic expansion. Texas added 34,700 new jobs in May, marking the 23rd consecutive month of employment growth. Over the year, the state has added 352,100 jobs, a growth rate of 2.9%. The Baker Hughes Oil & Gas Rig Counts increased 1.04% to 967 in May 2018 from 957 a year earlier. This level represents an increase of 139% from the bottom of 404 in May 2016 demonstrating sustained growth in the energy market. Houston’s long-term financial and real estate markets continue to benefit from continued population growth and steady job growth. The recovery efforts following Harvey have created a strong start to 2018. Overall, the Texas single-family residential markets continue to do well from the population growth, job growth, and an increase in first time homebuyers. Should you have any questions, please feel free to contact our office at (713) 535-2250. For more information on our company, please visit our website at www.mcalisterinv.com .